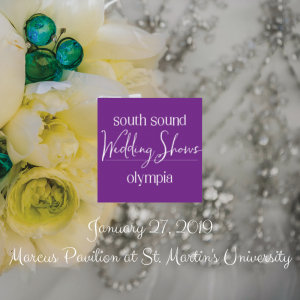 We will be exhibiting at the 12th Annual South Sound Wedding Show, held at the Marcus Pavillion at Saint Martins University on Sunday, January 27, 2019. We look forward to meeting couples who are looking for a variety of needs. Primarily we are attending to promote our new event space, The Grand Victorian Ballroom. The ideal intimate space for up to 60 people for your small wedding. Secondly we offer our Bed & Breakfast and Day Spa for anything from wedding nights and pre-wedding getaways, to a decidedly different place to accommodate your guests who are travelling from out of town. We offer packages and ala carte pricing for all of our event related services. NextExplaining our Small Wedding Packages and Pricing.